← How to adjust a picture in pdf file by use of verypdf pdf editor? 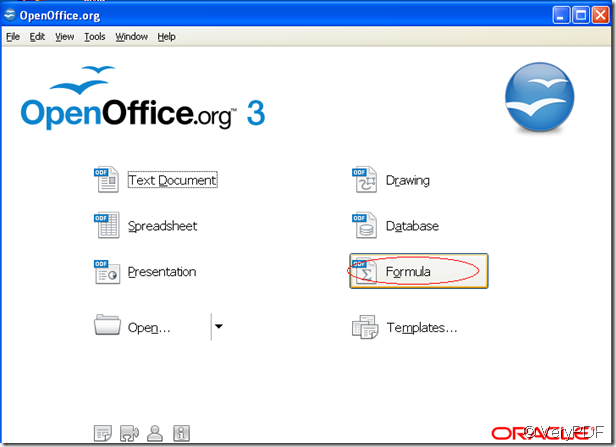 How to print OpenOffice Math document to PDF file? 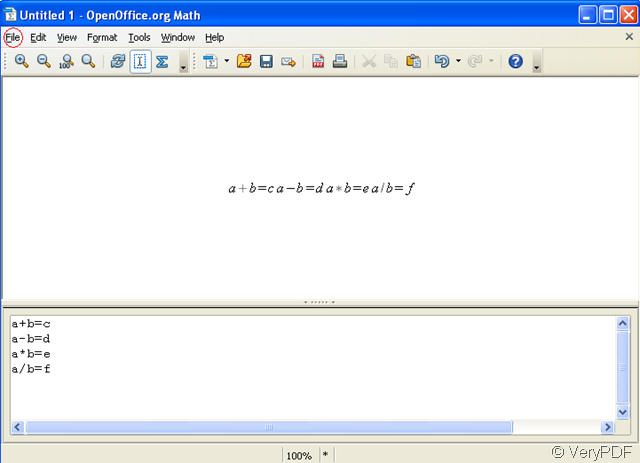 If you have used OpenOffice ,you may find the function of formula is very useful to people who input math formula day after day.MATH is OpenOffice.org's component for mathematical equations. 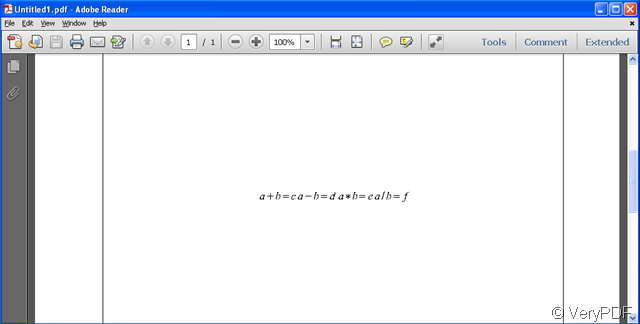 It is most commonly used as an equation editor for text documents, but it can also be used with other types of documents or stand-alone. 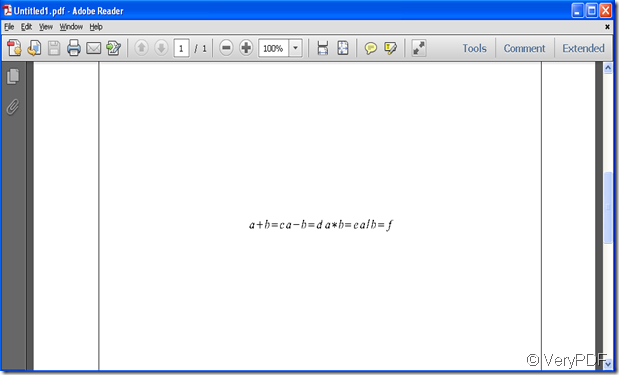 When used inside WRITER, the equation is treated as an object inside the text document. Similarly, one can also insert these into other OpenOffice.org programs like CALC and IMPRESS. 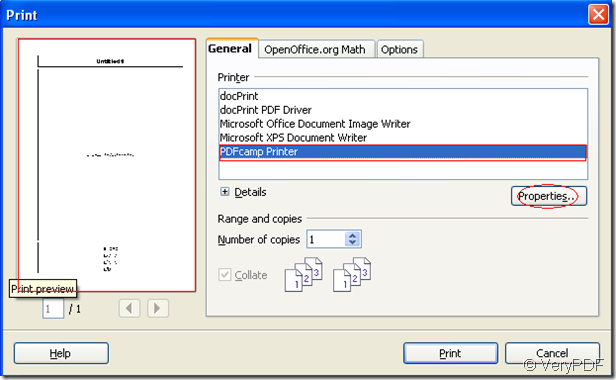 When you want to print OpenOffice Math document to pdf file,PDFcamp Printer is a necessary software.You should follow the steps bellow to realize the function. 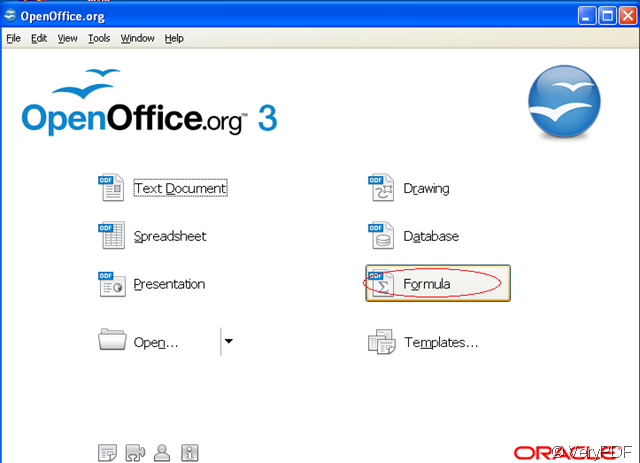 Step1.Open OpenOffice and click formula. 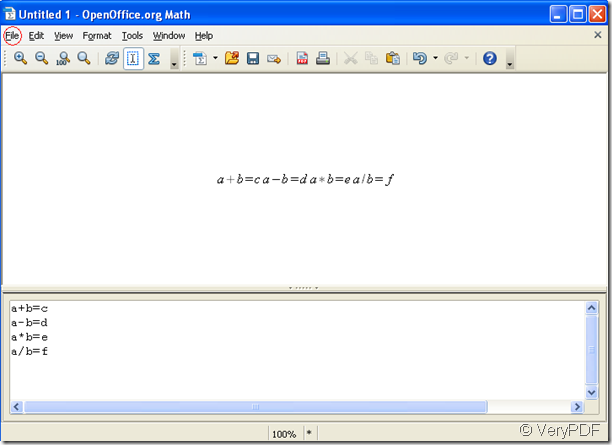 Step2.On the interface of OpenOffice .org Math,you can input or create math formulas you want.If everything has done,you can start to print by clicking”file”—“print”. Step3.Select the printer in the printer groupbox,of course you should click PDFcamp Printer.You also can see the print preview on the left side of the window.Then you can set the parameters of printer by clicking “properties”. 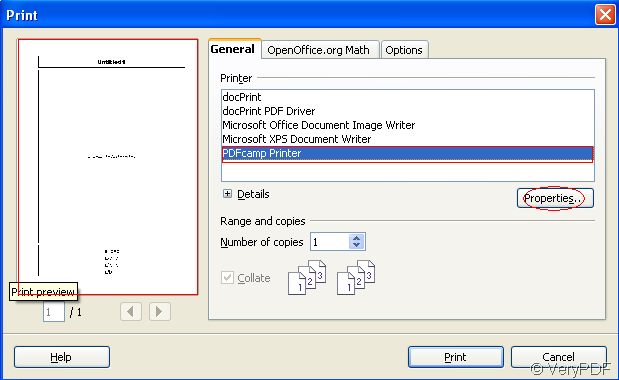 Step4.Click “print” to save and name or rename the pdf file. After that,you will see the new pdf file. This entry was posted in PDFcamp Printer and tagged OpenOffice to PDF. Bookmark the permalink.